How to convert dull train journeys into best ‘me moments’ for travellers? 21st century passengers crave digital content. Travel companies however lag behind in the offline world with their onboard print magazines stuck in seat pockets. Renfe – one of the world leaders in high-speed lines from Spain (31.2 million passengers per year) – needed to meet demands of a growing number of passengers. They recognised that 96% of them carry digital devices. And they wanted to delight them with fun and up-to-date news at the same time saving costs on the print publication. 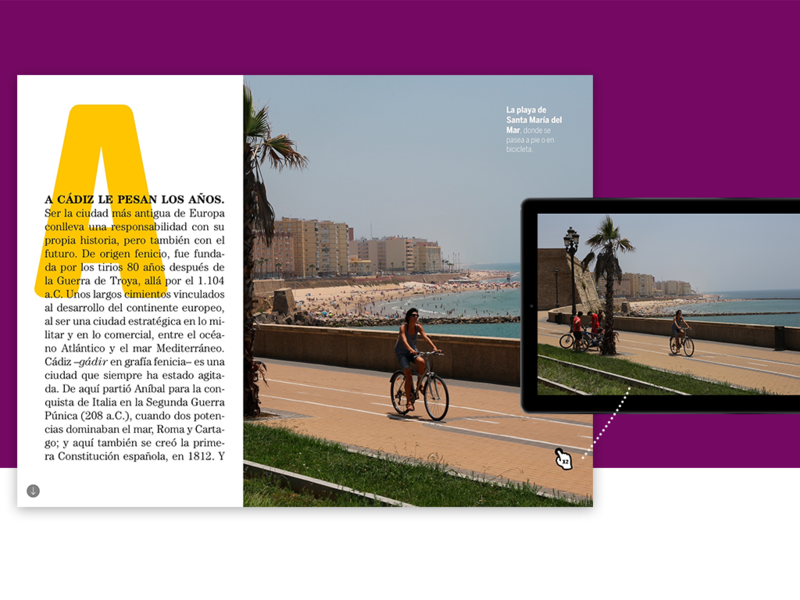 With help from Prisa Revistas, one of the largest Spanish publishers, they designed a user-friendly tablet and mobile onboard magazine enhanced with photo galleries and interactive features. 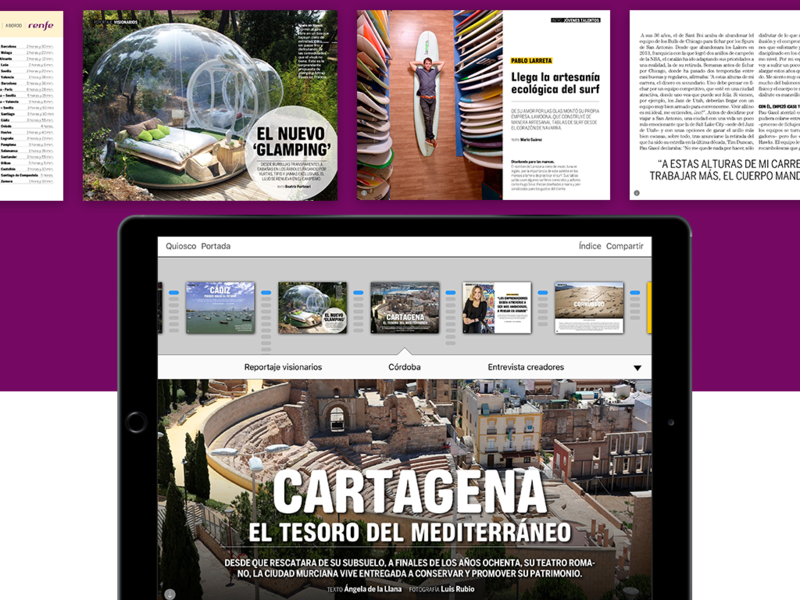 Thanks to Aquafadas tools, they created a fun and exciting digital publication best for long train journey moments. Full of local information, best restaurant reviews and even quizzes and games. And the passengers loved it! It’s been one of the most downloaded (iOS and Android) online magazines on the App store. 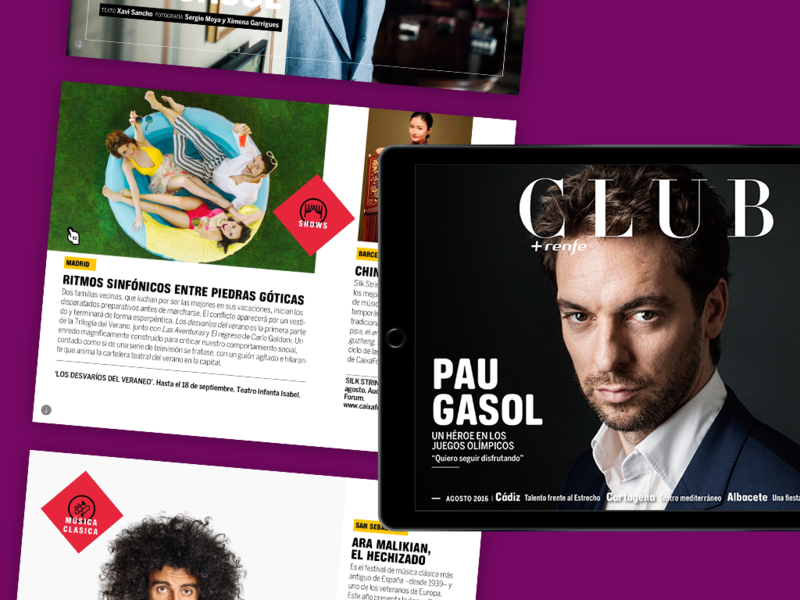 So if you are heading down to the sunny Spain by train, don’t forget to download and browse the Club Renfe magazine!